Nick is a Houston native that started on his musical journey in junior high when he began playing the trumpet in his school`s band program in Katy ISD. He continued playing and performing with his trumpet into high school and college at Sam Houston State University. After performing, learning, and involving him self in as many facets of the college music major experience as he could, he completed his student teaching requirements in Fort Bend ISD, and attained his bachelor's degree in music education in 2016. Nick enjoys playing his trumpet and guitar in his free time. He has also performed across local venues around the houston area with various rock, and metal bands. He also enjoys playing videogames, reading, and watching movies and TV with his wonderful girlfriend. 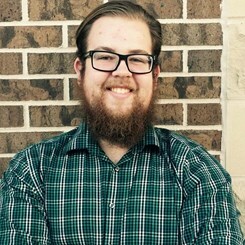 Nick is happy to be involved in the Music and Arts family, and is happy to help with any questions you have to help you along with your very own musical journey, and hopes to see you at the Katy location of Music and Arts.